Dan Nichols Autumn Jubilee was a wash-out in more than one way. Saturday was perfect weather for going to a festival; everyone was having a good time and buying products. Sunday, on the other hand, was yucky; it was cold and damp from the …rain the night before. Thankfully I didn’t lose any products but several marketing pieces were damaged. Sigh … . Since it was cold and damp many folks didn’t venture out. From my observation the only booths with people around them were the food venders — the more heat generated the better. 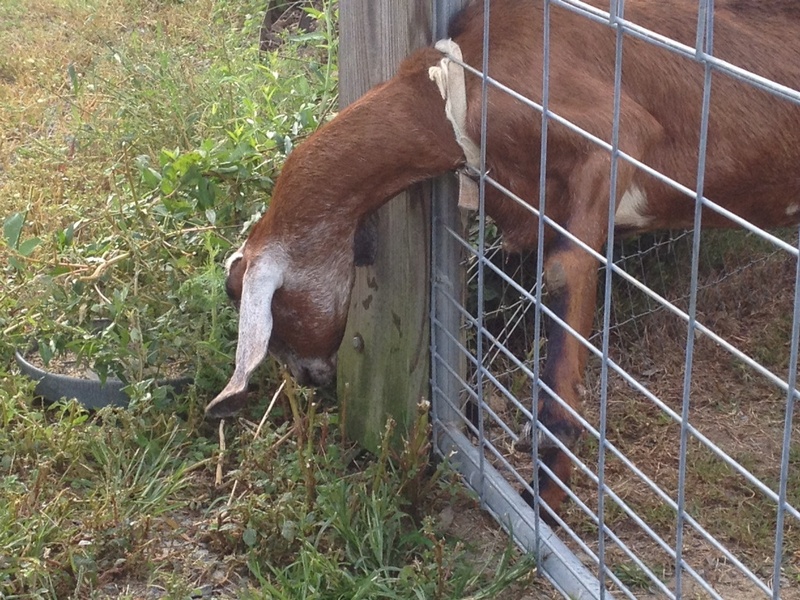 If a goat can stick her head through anything she will. 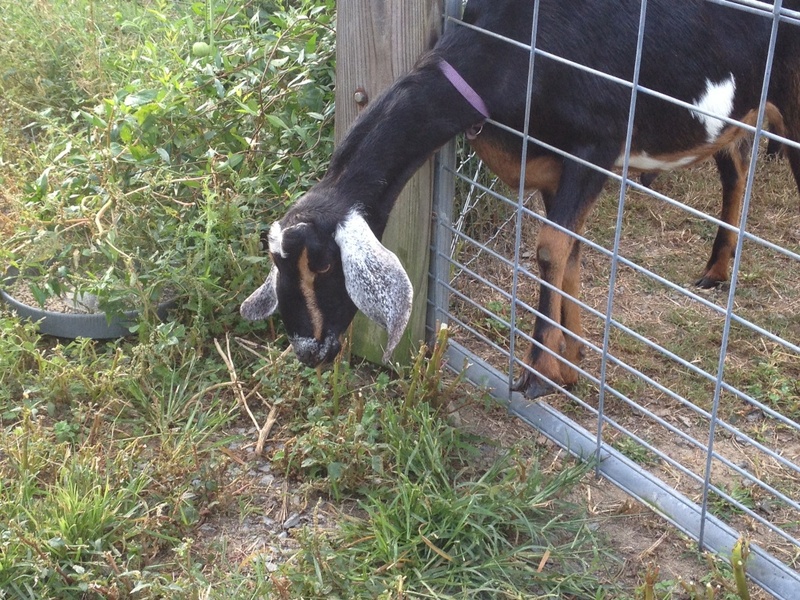 As I said before, IF a goat can stick her head through something, she will. Nuff said. 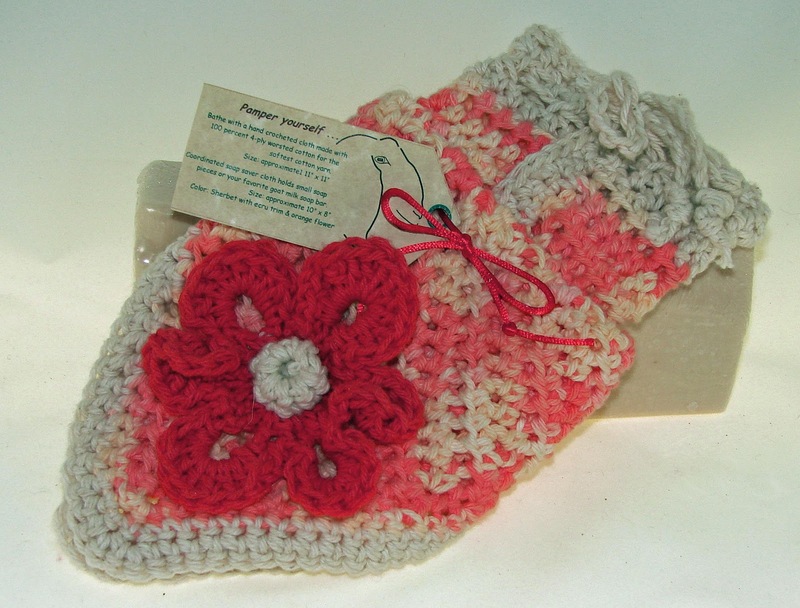 Handmade crochet cloths are tagged with my company tags that includes washing instructions and fiber content.